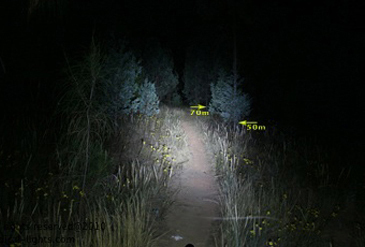 Radical Lights - Beam pattern type and spread for all our powerful lighting Systems for MTB, Cycling, Mountain bike, Adventure, etc. 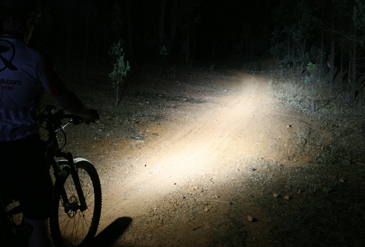 radXL at 985 lumens is ready to punch way above its weight (a scant 103g)! chutta is our lightest system and for the true weight weenies out there ! Beam pattern type and spread for our powerful lighting systems are shown. 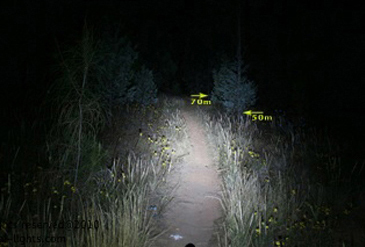 This will give you a great indication as to what you can expect out on the trail as images really don't do justice to our beam patterns. 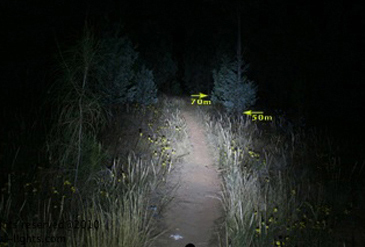 Our current flagship models are the Podda Mk4, (2950+ lumens), with the RADXL (1250+ lumens) and the Chutta (910+ lumens), having similar features and beam quality. These images will be updated with the latest pics real soon.